I just wanted to take the opportunity to introduce myself as the new Boss of IV Sqn after I took over from Mou on the 6 Jun. My name is Rob Caine and I have previously been the Exec on IV Sqn, so I am in command and doing my refresher simultaneously which is going to be fun! I am passionate about what the Sqn does and what we achieve for the RAF, RN and UK producing outstanding fighter pilots for the front line and I really look forward to meeting you and getting involved with the association and wider IV Sqn fraternity. For background I have enclosed my bio but please, no laughing. Wing Commander Robin Caine is OC IV(R) Sqn and is now responsible for the training of all RAF and RN Fighter Pilots for the front line, using the innovative Hawk T2 at RAF Valley, which is the final test before pilots qualify to fly the Typhoon or F35 the Joint Strike Fighter. Robin joined the RAF in 1994 and became an operational pilot on the Tornado in 1999 on 14 Sqn at RAF Bruggen, Germany. Since then he has served several operational tours on Tornado GR4, became a Tactics and Weapons Instructor at 19 Sqn on Hawk T1 and subsequently became a Qualified Weapons Instructor (QWI). He became an A2 Qualified Flying Instructor (QFI) and the Chief Weapons Instructor at RAF Valley as well as helping the introduction of Hawk T2 into military service. 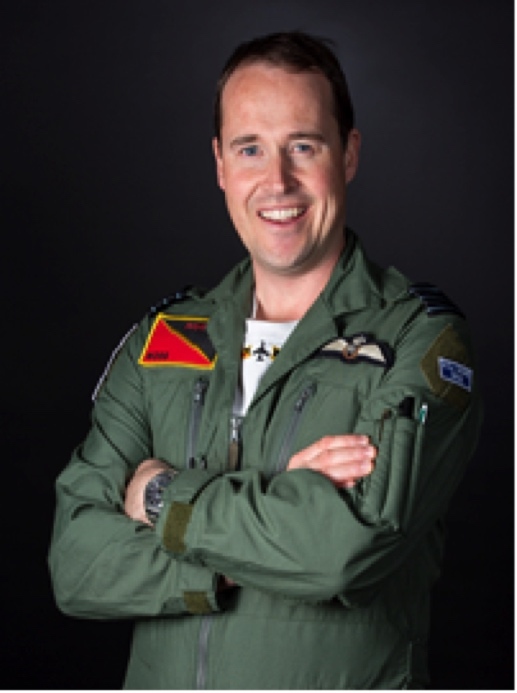 In 2011, he became the XO on IV(R) Sqn, on Hawk T2, where he was an A2 QFI and was responsible for all staff training and standards from first fast jet flight to beyond visual range, swing role missions. He now has over 2500 fast jet hours and is CFS accredited. He was awarded the MBE in 2015 for his services to Military Flying Training in the New Year’s Honours List and he is a graduate of the Joint Services Command and Staff College with an MA from Kings College London. He enjoys three day eventing, walking his black lab, rugby, running, sport, reading, and travel.